Find Hotel Mela Times Square deals, discounts and special offers. 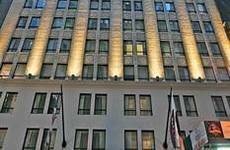 This 230-room hotel is well located near Times Square and adjoins a French restaurant. Low Rates in Times Square!